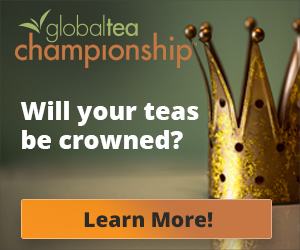 If you search online for “tea innovation news” most of the results will be about the surge of new products. These are creative and original. They are targeted to millennials, premiumization, flavor inventions and market-opening categories like bubble, cheese, and alcohol tea. 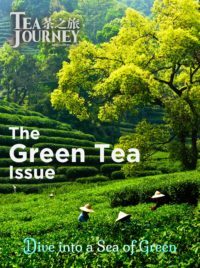 Search for tea science and technology news and not much turns up. It mainly relates to packaging and process improvements, mostly not strikingly creative or original. There are signs that this may be changing. Biotech, robotics and blockchain are moving along a fast slope. 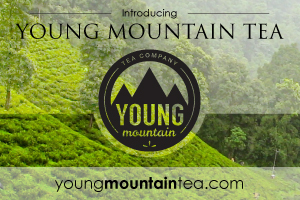 They are likely to lead to radical and very positive step shifts across the tea industry. This is not guaranteed of course. The October 2017 bankruptcy of Teforia, the maker of a much-touted Internet-connected smart tea infusion device – $1,000 at retail – is yet another reminder of high-tech hype and hope crashing when they meet everyday realities. Here, though, are three areas of science and technology innovation that are moving at an accelerating pace. All of them directly relate to core elements of tea quality, logistics, sustainability, economics, and health benefits. The research, pilots, and early applications are spreading across more and more areas of farming, as well as tea. They are given names here that highlight what they make possible rather than their specific technology. 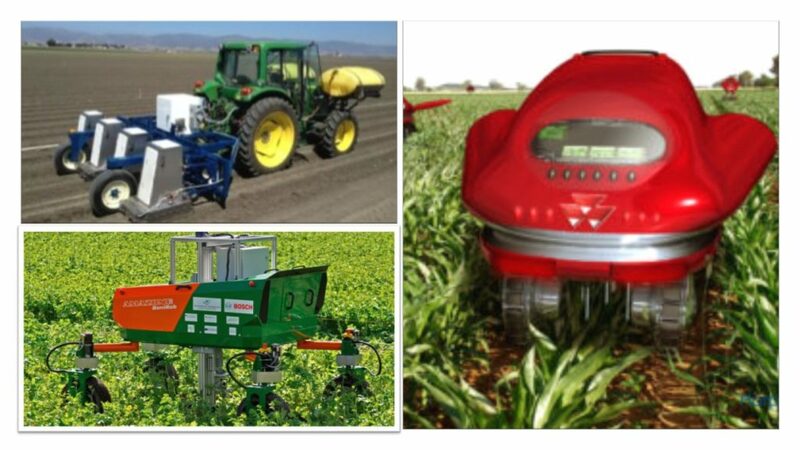 For instance, it’s not the gee whiz sci-fi images of the three farm robots below that make them of interest. They are just varieties of hardware components widely available. They are in essence the same as a house cleaning or manufacturing assembly line robot. Identify diseased leaf and roots. The robot devices go beyond what they can just see to what they can sense. The cameras include natural imaging, ultrasound, infrared, chemical recognition, and 3D. They employ very complex mathematical algorithms. These are illustrated by a prototype Tea Leaf Disease Recognizer. This has a 99% accuracy rate in detecting early instances of damage, invisible to human observation. The report on the system’s development in Bangladesh highlights how vital it is for the nation to reduce blight and leaf damage to be competitive in the international export markets. Determine the exact varietal origin of a batch of harvest from a single leaf: 100% accuracy in distinguishing fourteen different premium teas from each other and fakes, including Bo Li Chun, Yunnan puer, Assam, and Taiwan oolong. The core of modern AI is machine learning, with its associated deep learning, neural models, and a host of techniques for handling data. The system trains itself rather than the rules having to be specified by a programmer. It will go through cycles of examples of healthy and diseased plants, adapting its calculations, categories and evaluations to improve its accuracy. In the field, it learns from experience. The Disease Recognizer took 3,000 training cycles to reach 99% accuracy. In all these instances, computer vision adds dimensions of intelligence to human capabilities. Today’s tea growers can have only limited knowledge of their fields and plants. They are constrained by lack of time, unfamiliarity of plants, inadequate eyesight to distinguish similar weeds, growing shortages of skilled workers, ability to measure the precise dosage, etc. Machine intelligence opens up opportunities for machine judgment and machine work. The smart eye increasingly adds software to hardware, to enable machine eye-machine hand coordination of, for instance, a plucker or cutter mechanism. This is making automated harvesting by robot more and more practical in fruit and vegetable farming. 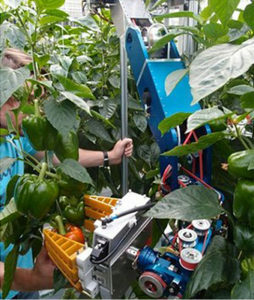 Tea is more complex in many areas of terrain and bush growth than these peppers, but tea plucking machines have long been a target of innovators, with Japan the leader. The cruel economics of labor versus machines – and it has been one of versus, with labor losing out on jobs and wages – push toward mechanization of tea farming. But that has come at a cost of its own: quality. With some exceptions, machine-harvested tea is a long way from the two-leaves-and-a-bud standard. Blades lack selectivity and shear the tops of plants. Twigs, broken leaf and even insects are harvested, too. The cut is less clean. And so on. But the economics are hard to escape. Orthodox plucking’s labor costs amount to 60% of production. Many countries and regions are selling tea at or below marginal cost. Wages are under constant pressure. The productivity gaps expand: the weed handler smart eye systems are simple to attach and are towed behind a regular tractor like conventional spraying equipment. One such machine does the work of twenty five laborers. The CEO of Sri Lanka’s Dilmah is emphatic that “within a few years… we will be seeing robots and drones picking tea.” He alludes to the well-known problems of machines that can negotiate the mountain terrain of many tea growing regions and the complexity of plucking the right leaf at very high speeds. He assumes with reason that these are temporary in their constraints. Progress in other areas of farming is so marked that it seems likely much of their practice will be quickly adapted to tea. Lettuce, strawberry, fruit, and broccoli are instances where the big players in tractors, farm equipment, AI and advanced engineering are moving fast to build scale. Just about all the most noted German, Japanese, and US players are positioning as providers and the UK, EU, and Australia as users. How easy it will be to transfer their skills to Asian teas is an open question. The tea industry is under-capitalized and largely lacks the funding for large-scale investment in trucks that cost $25-50,000 for small mobile units and $250,000 or more for larger-scale ones. As with organic farming, the early yields from crops are lower than under existing methods. Repatterning field layouts, systematizing unfamiliar processes and building planning and management skills is not routine. Even crop row spacing and field shape need adjustments. But the technology is in place. A large-scale and very successful UK project where a field of barley was grown and harvested with no use of labor at any stage from pre-seeding to crop harvesting applied “off the shelf” robot machines, drones, intelligent mobile “scouts” for gathering data across the terrain, and picker devices. The software is all “open source” plug and play. Smart eyes are just one aspect of the new data gathering and processing capabilities that augment disease recognition, plant identification, etc. They go levels deeper down in traceable impacts than the chemistry compounds that have marked studies of tea and impacts on health and nutrition. They may most usefully be thought of as molecular detectives. They include DNA fingerprinting, biomarkers, (indicators of some reaction with a disease condition, such as cancer), gene expressions, epigenetic cell formation, and many other esoterics like SNP – single-nucleotide polymorphism – and heterozygotes. This level of composition translates to level of analysis and precision. An immense limitation of research on tea’s impacts on disease prevention and treatment, weight loss, and physical well-being has been that the metrics were largely generic classes of compounds such as antioxidants, polythenols, theanine, caffeine and volatile compounds. It’s extremely difficult to isolate the impacts of any one biochemical or genetic component here. This is the main reason why almost all the scientific research qualifies its findings in the equivalent of “We found this relationship between green tea drinking and glaucoma risk, but we can’t exclude…” For this particular study, some of the alternative nonexcludable factors were levels of caffeine, the link not seeming to hold for iced tea and coffee, even though the relevant compounds are comparable in volume, and the results possibly affected by time frames, the accuracy of subjects’ self-reports about drinking and diet, and so on. And on. The molecular detectives are precise and definitive. Here is a striking recent example that is getting plenty of attention because it is so surprising in its findings and their implications. The study found a pattern among women in the three thousand subjects, but this was entirely absent in men and also for the coffee drinkers. Tea immediately changed gene expression in women’s bodies in 28 gene regions known to be associated with cancer and estrogen metabolism. The results suggest an alternative path for research on tea and health from the main focus today on the role of polythenol antioxidants. Molecular detection has many applications. It is being added to smart eye devices that can capture extracted DNA, genetic fingerprints, aroma traces, and even measures of leaf texture, vein pattern, and smoothness. They are paralleled by the decoding of the tea genome, in 2017. This is revealing insights about the basic structures and dynamics of tea. The transition in research is from being able to study how tea affects our body chemistry to what’s controlling our DNA’s environmentally-induced change. The possibilities are endless. The chemistry of tea is in itself a productive field. The biogenetics of tea expand it to a new vista. The final area of technology innovation that seems most promising across the tea industry is blockchain. Think of this as a mini-Internet that enables companies to collaborate in transactions, information-sharing, and payments. It’s the technology underlying bitcoin, the cryptocurrency. It shares features of security via encryption, decentralization with no one party or computer able to control the blockchain, “peer-to-peer” transactions with no reliance on such intermediaries as banks, a permanent, non-alterable, time-stamped guarantee of records, and “smart contracts” that establish relationships, authorization and identification. It’s often described as a “ledger” containing the entire history and records generated via the blockchain. The main initial areas of focus in blockchain were financial payments. They can be made automatic, handled direct from payer to receiver, kept private, and employ the most advanced cryptography. The opportunity is far broader, though. In the old manufacturing economy, the main operating costs were for raw materials and production — cost of goods sold. All the administrative costs, paperwork, distribution and so on were classified as “overhead.” The priority was to control direct costs. Now, with global supply chains, outsourcing and commoditization, most players in a competitive sector have the same production costs. Overhead is now the heaviest burden. All that paperwork and admin weigh down the laggards and give a big edge to the process leaders. The Soft $3 are all these, often hidden, costs in a supply chain that are generally treated separately in terms of information and operation. A $1 “hard” production cost for an item accumulates expenses on its path to being sold for $4 in the store: wholesaler paperwork, shipping administration, payments processing, tracking, packaging, inventorying, verifying contracts and handling errors in transactions. Etc., etc. The $3 figure seems very applicable to tea. Analysis of one retailer’s costs, for example, tracks purchase of an order of top quality Keemum bought for 85 Euros. Before it even gets delivered on shore in Europe, €50 of shipping, customs and other handling costs have been added. The end cost is €200 and the price €270. For a lower cost oolong, the multiplier is even larger: €26 purchase cost, €97 soft costs, end price €160. The firm that created the term Soft $3, Li&Fung, used its own processes and IT systems to be the “network orchestrator” that coordinates its global suppliers and partners. It zoomed ahead to become by far the most successful and profitable company in the global apparel industry. It controlled the network. Unilever announced in late 2017 a planned one year blockchain project. It will link an unknown fraction of Malawi’s 10,000 tea farmers, Sainsbury, three large financial institutions, and technology services. The focus will be on tracking and verifying contracts, including streamlining payments and providing information for consumers on origin, provenance, and quality. 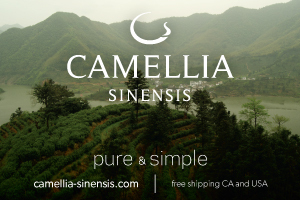 Buyers will be able to offer preferential pricing for growers whose teas meet blockchain-verified standards for sustainability, non-use of trafficked labor, and land management. Banks will be positioned to finance the ones that are shown through the time-stamped tamper-proof records to be following through on commitments and meeting performance metrics. The focus and membership of the blockchain parties and activities can be easily expanded. Walmart records the benefits from package tracking, an expensive and wasteful soft dollar cost. The average time has been cut from a week to just a few seconds via blockchain. Unilever’s partners include Sappi, the giant packaging firm that will be able to track use of sustainable wood fibers long the supply chain. Several startups will handle mobile apps for land rights documentation, ethical sourcing and verification of provenance, and handling of product identifier data. The Tech/Sci answers are emerging. What are the questions? This impressionistic summary of the tech and sci innovation landscape is not a prediction. Nor is it complete in its coverage. As with the Internet and mobile apps, the path to the future will be meandering, with false trails, bandits, maybe a few dragons. It will be paced by creative startups and a few power giants. The technology will evolve at an ever more rapid rate. What new skills and perspectives do industry players need to build? Tech capabilities? Business and supply chain? What are the priority targets? Sustainable development, surely. Premiumization probably. How do innovative small retailers and growers pick their blockchain niche? What are the full economics of this new business style? How do you fund it? Where are the cherry picking opportunities? Can you afford to wait and see how things fall out or must you push towards the front?